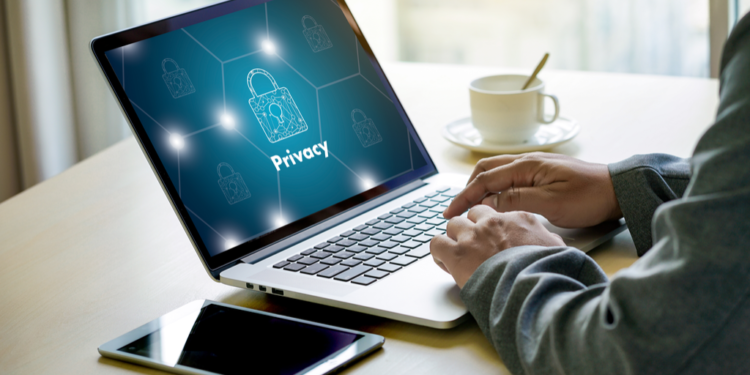 With an increasing number of browsers starting to heighten their privacy protections, tracking visitors by using cookies has become progressively more difficult. Up until now, tracking cookies have been a default tracking method for marketers trying to target online consumers. But as mobile users increase, and internet browsers become ever more regulated, the cookie is losing its viability. So what does that mean for the performance marketer who still want to track clicks to their landing pages without using redirection links (in particular on Facebook and Google Ads), but are concerned about roadblocks due to cookies (think Safari, private browsing, and incognito mode)? To access this latest feature, simply visit your Campaigns tab, select a campaign of your choice, and select the “Get the Landing Page Pixel” link. There, you’ll see a second code option for tracking direct visits to your landing page without relying on cookies. To use, select and copy the code for the cookie-less landing page pixel (CLPP). You’ll need to place the pixel at the very bottom of your page code, just before the </body> tag. Make sure any click-through links on your landing page that lead to your offer are placed above this script. If placed after the CLPP, this function will not work properly. With Google and Facebook’s stringent privacy rules, this new CLPP is extremely beneficial. Both Facebook and Ads look to see that your domain is the same as your landing page, but often times with tracking software, your domain ends up being different than the landing page you’re sending Facebook and Ads traffic to. Best case scenario is a disapproved campaign, but worst case could be your whole account getting banned. With our new CLPP, you can now use your landing page URL in Facebook campaigns as the destination URL. We eliminated the 3rd party domain redirects, and that means your Facebook and Ads campaigns can stay alive a lot longer, while still being tracked by Thrive. This pixel is particularly useful for mobile campaigns. Mobile connection speeds tend to be slower in general, so even though Thrive already offers the fastest redirects, by removing them you can shave off anywhere from 50ms – 200ms. This is an important boost for your campaigns in the growing mobile market. For those who are looking to track organic visits to your landing page in a separate campaign (i.e. Google search visits, visitors that bookmark your page, and all other visits not originating from the Thrive campaign URL), the new CLPP can be used yet again. 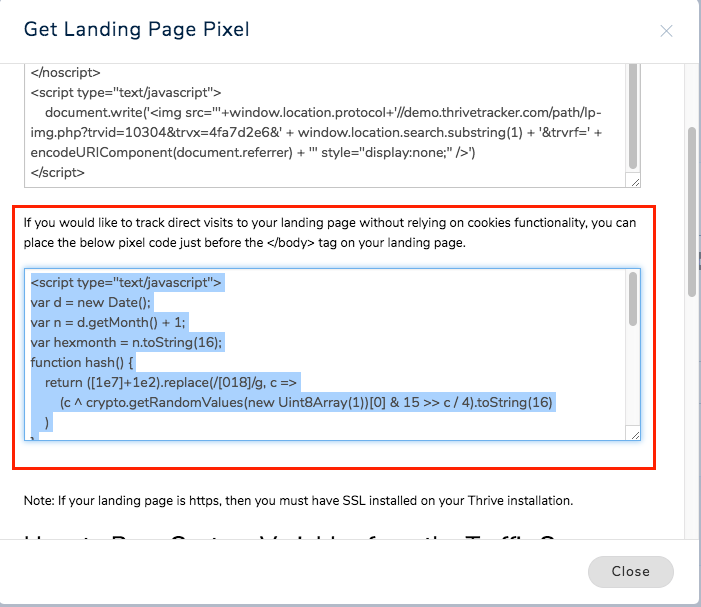 You can keep using your landing page as normal, but create a separate campaign in Thrive to track organic visits to every one of your landing pages. Simply place the CLPP from your new campaign on each landing page that you wish to track organic visits from. Worried about ThriveTracker double counting visits for those who come from organic sources vs. those who come through the campaign link? We’ve got it covered – Thrive will ignore the new CLPP if a visitor comes through the campaign link. Interested in testing this latest feature? Feel free to contact our support team if you need assistance plugging the pixel into your campaigns. For all new users, now’s your chance to test out ThriveTracker with our 14-day free trial. Ready to Try ThriveTracker’s cookie-less tracking option?